Mufaddal M. Gombera, MD is a board-certified, fellowship-trained orthopedic surgeon who specializes in sports medicine, arthroscopy, and the treatment of injuries to the shoulder, hip, and knee. 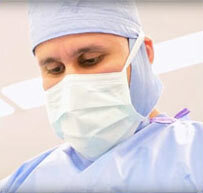 He provides expert care to his patients by using the latest advanced treatments and minimally invasive techniques to speed recovery and often times avoid surgery. Dr. Gombera is a native Houstonian. He tore his ACL while playing football for Memorial High School. His ACL surgery and recovery piqued his interest in orthopedics and sports medicine. After completing medical school at Baylor College of Medicine, Dr. Gombera went on to complete his residency in orthopedic surgery at the University of Michigan in Ann Arbor, MI. He then completed a fellowship in sports medicine and arthroscopy at Northwestern University in Chicago, IL. His experience focused on the modern treatment of sports-related injuries of the shoulder, elbow, hip, and knee, as well as shoulder replacement. In Chicago, he worked as the assistant team physician to the Northwestern football team, the Chicago Cubs and the Chicago Blackhawks. Dr. Gombera joined Texas Orthopedic Hospital and Fondren Orthopedic Group in 2015. Dr. Gombera is the Director of the Hip Preservation Center at Texas Orthopedic Hospital, where he works with a multidisciplinary team to treat patients with hip pain. He continues to contribute to the medical literature on the treatments of injuries to the shoulder, hip, and knee. 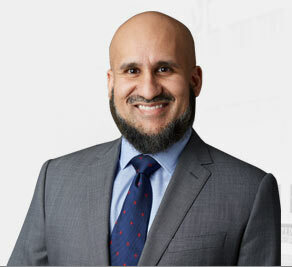 He is currently a member of the American Academy of Orthopedic Surgeons, the Arthroscopy Association of North America, and the American Orthopedic Society for Sports Medicine. 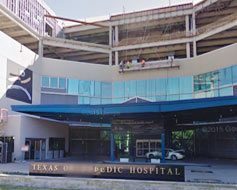 He instructs trainees and fellow surgeons at Texas Orthopedic Hospital and a variety of courses throughout the country. Dr. Gombera is an appointed teaching physician at UTMB, where he serves as Clinical Assistant Professor. Dr. Gombera welcomes patients with shoulder, hip, or knee pain to his practice at Fondren Orthopedic Group and Texas Orthopedic Hospital, located in the heart of Houston just south of the Texas Medical Center. His objective is to provide personalized, specialized, expert care to patients, and to return athletes to an active and fulfilling lifestyle. Dr. Gombera and his team pride themselves on delivering exceptional care based on the latest evidence-based treatments to each of their patients. Note: I legally shortened my last name from “Gomberawalla” to “Gombera” in June, 2014. Previously published manuscripts and proceedings may reference my former name. CM Killian, BJ Morris, KR Sochacki, MM Gombera,RE HAigler, DP O'Connor, TB Edwards. Radiographic Comparison of Finned, Cementless Central Pegged Glenoid Component and Conventional Cemented Pegged Glenoid Component in Total Shoulder Arthroplasty: A Prospective Randomized Study. The Journal of Shoulder and Elbow Surgery. The Journal of Shoulder and Elbow Surgery. December 2017. Pii: S10582746(17)30593-1. Doi: 10.1016/j.jse.2017.09.014. VK Tjong, MM Gombera, CA Kahlenberg, RM Patel, B Han, P Deshmane, MA Terry. Isolated Acetabuloplasty and Labral Repair for Combined-Type Femoroacetabular Impingement: Are We Doing Too Much? Arthroscopy, The Journal of Arthroscopic and Related Surgery. 2017 Jan 4. pii: S0749-8063(16)30894-5. doi: 10.1016/j.arthro.2016.10.022. EP Tannenbaum, P Zhang, JD Maratt, MM Gombera, SA Holcombe, SC Wang, A Bedi, JA Goulet. A Computed Tomography Study of Gender Differences in Acetabular Version and Morphology: Implications for Femoroacetabular Impingement. Arthroscopy, The Journal of Arthroscopic and Related Surgery. May 2015; S0749- 8063(15)00101-2. doi: 10.1016/j.arthro.2015.02.007. JD Maratt, JJ Gagnier, MM Gombera, SE Reske, BR Hallstrom, AG Urquhart. Patients' perceptions of the costs of total hip and knee arthroplasty. American Journal of Orthopedics. May 2015; 44(5):E135-41. KL Welton, MM Gombera, JS Fischgrund, GP Graziano, RD Patel. Patient Impressions of Reimbursement for Orthopedic Spine Surgeons. The Spine Journal. February 2014; doi:10.1016/j.spine.2014.01.060. MM Gombera, JK Sekiya. Rotator Cuff Tear and Glenohumeral Instability: A Systematic Review. Clinical Orthopedics and Related Research. August 2014; 472 (8): 2448-56. doi:10.1007/s11999-013-3290-2. MM Gombera, BT Kelly, A Bedi. Interventions for Hip Pain in the Maturing Athlete: The Role of Hip Arthroscopy? Sports Health: A Multidisciplinary Approach. January 2014;6(1):70–77. doi:10.1177/ 1941738113497678. MM Gombera, BS Miller, RM Coale, A Bedi, JJ Gagnier. A Meta-Analysis of Joint Preservation Versus Arthroplasty for the Treatment of Displaced 3- and 4-part Fractures of the Proximal Humerus. Injury. March 2013. 44 (2013), 1532-1539. doi: 10.1016/j.injury.2013.03.030. MM Gombera, MA Conditt, KB Mathis, PC Noble. Have We Solved the Problem of Backside Wear in Total Knee Arthroplasty? The Journal of Arthroplasty. February 2009. 24(2) e42. AR Kadakia, MM Gombera. Sports Related Conditions: Syndesmotic Injuries. In IJ Alexander, EM Bluman, JK Greisberg (Eds): Advanced Reconstruction: Foot and Ankle, 2nd Edition. Chicago, IL: AAOS/AOFAS. 2015. pp 337-348. MM Gombera, JK Sekiya. Combined Anterior Cruciate Ligament Reconstruction and Meniscal Allograft Transplantation. In BJ Cole, JK Sekiya (Eds): Surgical Techniques of the Shoulder, Elbow, and Knee in Sports Medicine, 2nd Edition. Philadelphia, PA: Elsevier. 2013. pp 633-641. MM Gombera, JK Sekiya. Surgical Treatment of Combined PCL/Lateral-Sided Injuries: Acute and Chronic. In GC Fanelli (Ed): The Multiple Ligament Injured Knee: A Practical Guide to Management, 2nd Edition. New York, NY: Springer. 2013. pp 211-226. CM Killian, BJ Morris, KR Sochacki, MM Gombera, RE HAigler, DP O’Connor, TB Edwards. Radiographic Comparison of Finned, Cementless Central Pegged Glenoid Component and Conventional Cemented Pegged Glenoid Component in Total Shoulder Arthroplasty: A Prospective Randomized Study. Podium Presentation at the American Society for Shoulder and Elbow Surgery Fellows Symposium, San Diego, CA; June 2017. DB Gibbs, TS Lynch, MM Gombera, GD Schroeder, MW LaBelle, BP Hollett, MD Saltzman, GW Nuber. Pre-existing Rotator Cuff Tears as a Predictor of Outcomes in National Football League Athletes. Poster Presentation at the American Orthopedic Society for Sports Medicine Annual Meeting; Orlando, FL; July 2015. MM Gombera, CA Kahlenberg, RM Patel, B Han, PP Deshmane, MA Terry. Isolated Acetabular Osteoplasty for the Treatment of Combined-type Femoroacetabular Impingement. Podium Presentation at the ISAKOS Congress; Lyon, France; June 2015. MM Gombera, GW Nuber, G Marra, MD Saltzman. Comparison of Outcomes and Complication Rates After Total Shoulder Arthroplasty and Reverse Shoulder Arthroplasty. Podium Presentation at the Mid-America Orthopedic Association Annual Meeting; Hilton Head Island, NC; April 2015. MM Gombera, CA Kahlenberg, R Nair, MD Saltzman, MA Terry. All-Arthroscopic versus Open Tenodesis of the Long Head of the Biceps Brachii. Poster Presentation at the Mid-America Orthopedic Association Annual Meeting; Hilton Head Island, NC; April 2015. DB Gibbs, TS Lynch, MM Gombera, GD Schroeder, MW LaBelle, BP Hollett, MD Saltzman, GW Nuber. Pre-existing Rotator Cuff Tears as a Predictor of Outcomes in National Football League Athletes. Podium Presentation at the NFL Team Physician Annual Meeting; Indianapolis, IN; February 2015. MM Gombera, CA Kahlenberg, R Nair, MD Saltzman, MA Terry. All-Arthroscopic versus Open Tenodesis of the Long Head of the Biceps Brachii. Podium Presentation at the American Orthopedic Society for Sports Medicine Specialty Day; Las Vegas, NV; March 2015. MM Gombera, CA Kahlenberg, RM Patel, B Han, PP Deshmane, MA Terry. Isolated Acetabular Osteoplasty for the Treatment of Combined-type Femoroacetabular Impingement. Poster Presentation at the International Society for Hip Arthroscopy Annual Meeting; Rio, Brazil; October 2014. MM Gombera, R Nair, A Martusiewicz, EJ Monroe, GM Marra, MD Saltzman. The Quality and Accuracy of Online Patient Resources for Total Shoulder Replacement and Reverse Shoulder Replacement. Poster Presentation at the American Shoulder and Elbow Surgeons Closed Meeting; Pinehurst, NC; October 2014. CA Kahlenberg, R Nair, EJ Monroe, MM Gombera, MA Terry, SL Edwards. Incidence of Injury Based on Sports Participation in High School Athletes. Podium Presentation at American Academy of Pediatrics National Conference; San Diego, CA; October 2014. MM Gombera, BS Miller, RM Coale, A Bedi, JJ Gagnier. A Meta-analysis of Joint Preservation Versus Arthroplasty for the Treatment of Displaced 3- and 4-part Fractures of the Proximal Humerus. Poster Presentation at the Annual Meeting of the American Academy of Orthopedic Surgeons; Chicago, IL; March 2013. JD Maratt, JJ Gagnier, MM Gombera, S Reske, BR Hallstrom, AG Urquhart. Patient Perceptions of the Cost of Total Hip and Knee Arthroplasty. Podium Presentation at the Annual Meeting of the American Academy of Orthopedic Surgeons; Chicago, IL; March 2013. JD Maratt, MM Gombera, S Holcombe, S Wang, JA Goulet. Gender Differences in Acetabular Morphology and Implications for Femoroacetabular Impingement. Poster Presentation at the Annual Meeting of the American Academy of Orthopedic Surgeons; Chicago, IL; March 2013. KL Welton, MM Gombera, JS Fischgrund, GP Graziano, RD Patel. Medical Provider Impressions of Surgeon Reimbursement for Common Orthopedic Procedures. Poster Presentation at the Annual Meeting of the American Academy of Orthopedic Surgeons; Chicago, IL; March 2013. MM Gombera, RD Patel. Factors Influencing Fellowship Selection by Orthopedic Residents. Poster Presentation at the 51st Annual Carl E. Badgley Day Lectureship for the University of Michigan Alumni Society; Ann Arbor, MI; October 2012. MM Gombera, BS Miller, RM Coale, A Bedi, JJ Gagnier. A Meta-analysis of Joint Preservation Versus Arthroplasty for the Treatment of Displaced 3- and 4-part Fractures of the Proximal Humerus. Podium Presentation at the Annual Meeting of the Michigan Orthopedic Society; Mackinac Island, MI; June 2012. KL Welton, MM Gombera, JS Fischgrund, GP Graziano, RD Patel. Patient Impressions of Reimbursement for Orthopedic Spine Surgeons. Podium Presentation at the Annual Meeting of the Lumbar Spine Research Society; Chicago, IL; April 2012. KL Welton, MM Gombera, JS Fischgrund, GP Graziano, RD Patel. Patient Impressions of Reimbursement for Orthopedic Spine Surgeons. Poster Presentation at the Annual Meeting of the Michigan Orthopedic Society; Mackinac Island, MI; June 2012. MM Gombera, RD Patel. Factors Influencing Fellowship Selection by Orthopedic Residents. Poster Presentation at the Annual Meeting of the Michigan Orthopedic Society; Mackinac Island, MI; June 2012. MM Gombera, JS Fischgrund, GP Graziano, RD Patel. Patient Impressions of Reimbursement for Orthopedic Spine Surgeons. Poster and Alternate Podium Presentation at the Annual Meeting of the American Academy of Orthopedic Surgeons; San Francisco, CA; February 2012. MM Gombera, MA Conditt, KB Mathis, PC Noble. Have We Solved the Problem of Backside Wear in Total Knee Arthroplasty? Podium Presentation at the Annual Meeting of the American Association of Hip and Knee Surgeons; Dallas, TX; November 2008. MM Gombera, MA Conditt, KB Mathis, PC Noble. Have We Solved the Problem of Backside Wear in Total Knee Arthroplasty? Podium Presentation at the Annual Meeting of the American Academy of Orthopedic Surgeons; San Francisco, CA; March 2008. MM Gombera, MA Conditt, SK Ismaily, N Kulkarni, NK Ismaily, JM Saucedo, PC Noble. The Dynamic Stiffness of the Knee during a High Flexion Activity. Poster Presentation at the Annual Meeting of Orthopedic Research Society; San Francisco, CA; March 2008. MM Gombera, MA Conditt, KB Mathis, PC Noble. Have We Solved the Problem of Backside Wear in Total Knee Arthroplasty? Podium Presentation at the Meeting of the Orthopedic Research Society; San Francisco, CA; March 2008. MM Gombera. What's New in Sports Medicine: American Orthopedic Nursing Association Regional Meeting, Houston, TX; October 2017. MM Gombera. Faculty Instructor: ASES/AAOS: Open and Arthroscopic Techniques in Shoulder Surgery Course. AAOS Orthopedic Learning Center, Chicago, IL; May 2015. MM Gombera. Arthroscopic Partial Meniscectomy. Faculty Instructor: AAOS: Fundamentals of Knee and Shoulder Arthroscopy Course. AAOS Orthopedic Learning Center, Chicago, IL; September 2014. MM Gombera, CA Kahlenberg, RM Patel, B Han, PP Deshmane, MA Terry. Isolated Acetabular Osteoplasty for the Treatment of Combined-type Femoroacetabular Impingement. Annual Thesis Day, Northwestern University Department of Orthopaedic Surgery; Chicago, IL; June 2014. MM Gombera. Faculty Instructor: AAOS: Fundamentals of Knee and Shoulder Arthroscopy Course. AAOS Orthopedic Learning Center, Chicago, IL; October 2013. MM Gombera, BS Miller, RM Coale, A Bedi, JJ Gagnier. A Meta-analysis of Joint Preservation Versus Arthroplasty for the Treatment of Displaced 3- and 4-part Fractures of the Proximal Humerus. Annual Senior Thesis Day, Michigan Department of Orthopaedic Surgery; Ann Arbor, MI; June 2012. MM Gombera, FA Farley. Fractures in Fibrous Dysplasia. Robert N. Hensinger Lectureship, University of Michigan Health System; Ann Arbor, MI; November 2011. MM Gombera, KL Vanderhave. Chronic Hip Dislocation: A Case Presentation. Robert N. Hensinger Lectureship, University of Michigan Health System; Ann Arbor, MI; November 2011. MM Gombera, RD Patel, GP Graziano. Awake Cervical Osteotomy for Fixed Cervical Kyphotic Deformity. Spine Annual Lectureship, University of Michigan Health System; Ann Arbor, MI; October 2011. MM Gombera, AG Urquhart. Osteonecrosis of the Femoral Head. Larry S. Matthews Annual Lower Extremity Adult Reconstruction Lectureship; Ann Arbor, MI; May 2011. MM Gombera, A Bedi, KF Schultz. Combined ACL Reconstruction and Unicompartmental Knee Arthroplasty. Larry S. Matthews Annual Lower Extremity Adult Reconstruction Lectureship; Ann Arbor, MI; May 2010. MM Gombera, GP Graziano. Failed Anterior Cervical Discectomy and Fusion: Treatment Options. Spine Annual Lectureship, University of Michigan Health System, Ann Arbor, MI; October 2009. MM Gombera SM Gryzlo, MA Terry. Sports Medicine Review for the Orthopaedic In-Training Examination. Northwestern University, Chicago, IL; October 2013. MM Gombera, JK Sekiya. Knee Dislocations and Extensor Tendon Ruptures: Diagnosis and Management. Intern Core Curriculum, Department of Orthopaedic Surgery; University of Michigan Health System, Ann Arbor, MI; June 2013. MM Gombera, JA Goulet. Fractures of the Pelvis and Acetabulum: Diagnosis and Management. Intern Core Curriculum, Department of Orthopaedic Surgery; University of Michigan Health System, Ann Arbor, MI; January 2013. MM Gombera, A Bedi, EM Wojtys. The Multi-ligamentous Injured Knee. Grand Rounds, Department of Orthopaedic Surgery; University of Michigan Health System, Ann Arbor, MI; July 2012. MM Gombera, JE Carpenter, A Bedi. Reverse Total Shoulder Arthroplasty. Grand Rounds, Department of Orthopaedic Surgery; University of Michigan Health System, Ann Arbor, MI; May 2012. MM Gombera, JN Lawton. Interposition Arthroplasty of the Elbow. Grand Rounds, Department of Orthopaedic Surgery; University of Michigan Health System, Ann Arbor, MI; July 2011. MM Gombera, A Bedi, BS Miller. The Treatment of Displaced Proximal Humerus Fractures. Grand Rounds, Department of Orthopaedic Surgery; University of Michigan Health System, Ann Arbor, MI; June 2011. MM Gombera, A Bedi, JK Sekiya. Revision Anterior Cruciate Ligament Reconstruction. Grand Rounds, Department of Orthopaedic Surgery; University of Michigan Health System, Ann Arbor, MI; October 2010. MM Gombera, A Bedi. Surgical Management of Chondral Defects in the Knee. Grand Rounds, Department of Orthopaedic Surgery; University of Michigan Health System, Ann Arbor, MI; June 2010. MM Gombera, JD Blaha, AG Urquhart. Kinematic Alignment in Total Knee Arthroplasty. Grand Rounds, Department of Orthopaedic Surgery; University of Michigan Health System, Ann Arbor, MI; September 2009.